Women’s Committee at North Raleigh Masjid is excited to announce two new programs. 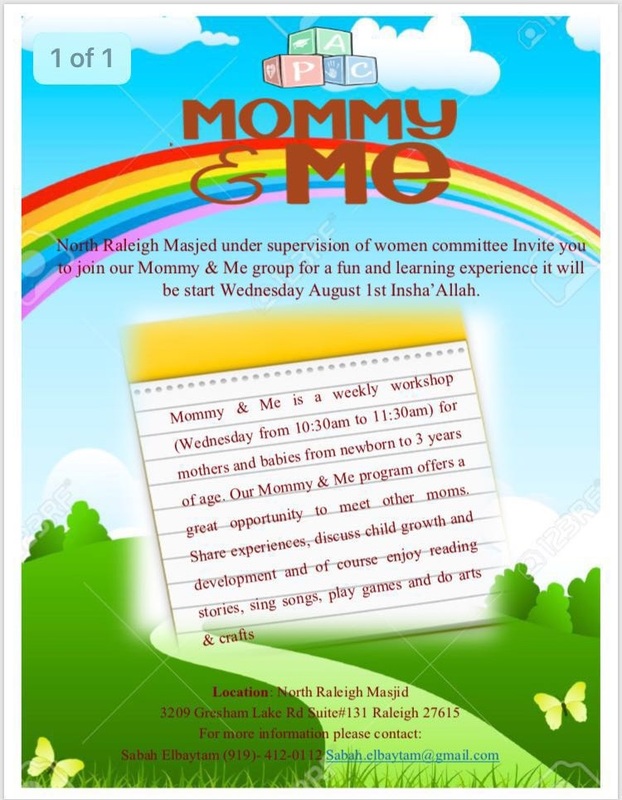 The first is our Mommy & Me group that will start Wednesday, August 1st InshaAllah from 10:30-11:30am. Weekly moms and children age newborn to 3 yrs will meet to read stories, sing songs , play games, do arts& crafts and more.